4.9/5 out of 622 votes. 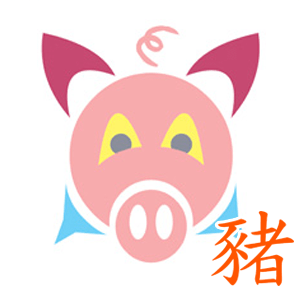 Pig Chinese Daily Horoscope for Today, Tomorrow and the Day after Tomorrow. All the latest information you need about Pig Chinese Horoscope and updated Daily. You might have visitors, or even a hot date scheduled for tonight. By midafternoon you might feel too tired to go out and wonder if you should cancel. It's best to keep your activities low-key. Have coffee and cake at home instead of going out, and get the cake from a bakery! Your evening should be full of exciting, stimulating conversation. You'll be glad you stuck with your plans. Deliveries that you expect could be delayed. You might learn something shocking about a neighbor or relative. The gossip might spread rapidly through your community. This could have you reeling even though it might be exaggerated. You might visit a few people nearby or spend a lot of time on the phone trying to learn the truth. Don't take anything you hear at face value. If you're currently romantically involved, you can expect your relationship to move to the next level of commitment. You and your partner could agree to be monogamous, get engaged, or set a wedding date. If you're married, you might decide to have a child. If you aren't involved, expect to attract someone soon. You're ready, and eligible partners are definitely registering your availability!